Mozart was born in Salzburg, Austria, on January 27,1756. His father, Leopold, was a musician. He and his sister Nannerl, Maria Anna, would go on tours throughout Europe to perform music. When he was five, he began writing music. He also wrote his first symphony when he was nine. He was a child prodigy. This is Salzburg, Austria, the place where Mozart was born. As a child, he would travel all over Europe to play music for royalty. However when he grew up, he left Salzburg and headed to Austria to seek his fortune. Unfortunately he became very poor. Throughout his life, Mozart wrote forty one symphonies. His most famous one and his last one, No. 41, also known as "Jupiter", was written in 1788. It is above. The shorter symphonies he wrote are called overtures and are played before operas. The longer ones are made up of four movements. Mozart left a great legacy on the music world. Many of his works are still used today. He was a child prodigy and even though he lost his popularity as he got older, he still left a major impact. Joseph Aknin. “W. A. Mozart - Symphony No. 41 ‘Jupiter’ in C major (Harnoncourt).” Youtube. N.p., 10 Feb. 2012. Web. 17 May 2016. <https://www.youtube.com/watch?v=zK5295yEQMQ>. 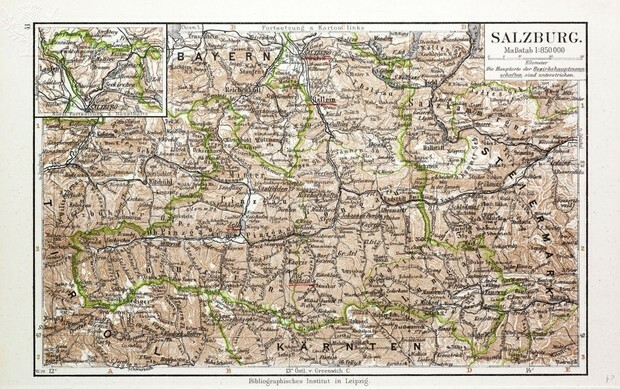 Map Of Salzburg, Austria, 1899. Photo. Encyclopædia Britannica ImageQuest. Web. 17 May 2016. 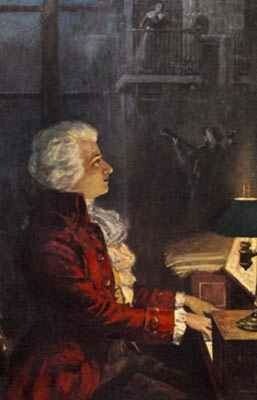 Wolfgang Amadeus Mozart.. Photograph. Encyclopædia Britannica ImageQuest. Web. 13 May 2016.